By Bruce A. Coane and James P. McCollom, Jr. In the last few years, there has been a revolution in technology that has also affected individuals who are interested in immigration. You may be interested to know some examples. Doubtless, you can find out many more. First, you might explore the website for the United States Citizenship and Immigration Services (USCIS). At this website, you can find out the law regarding many topics. Not only are there articles on many topics but there is also the law itself. Of course, when a lay person is reading the law, she should defer to an attorney for guidance. We recommend an excellent feature of this website: the automatic e-mail notification of case updates. When you have an immigration case, you can sign up at the USCIS website to receive email updates on the case. You can also look up the updates and processing times by entering the information manually onto the website. The website also contains the latest immigration forms and lists the versions that USCIS accepts. The website lists fees and instructions. The website also lists the places where you should mail forms. The USCIS changes all of this information almost on a daily basis. A lay person should consult an attorney for guidance. Second, you should note that the fingerprinting and card production processes are becoming computerized. For that reason, once a green card is approved, the USCIS officer can enter the information on the computer. Another computer at another location will then produce the green card and the immigrant will have the green card within three or four days. Before, it might take months. Third, in certain circumstances, attorneys are able to communicate directly with the local USCIS district office through email regarding particular cases. Lay persons are not able to do so but lay persons do have the option of scheduling an INFOPASS appointment through the USCIS website to inquire about their case. Fourth, in some immigration courts, attorneys are able to file documents electronically through the internet. In federal court, in most jurisdictions, all attorneys must file all documents electronically. Most foreign nationals do not go to federal court to fight their case but you might decide to go to federal court if the USCIS is taking too long to process your case. You also might go to federal court to fight a denial of a case or to gain naturalization. In federal court, attorneys can keep track through the internet through the PACER system of documents filed in cases all over the country. Fifth, The United States government had the ambitious plan of US VISIT where they propose to track everyone who enters and leaves the United States. This plan has apparently been abandoned for now. There are many other technological wrinkles that might affect you if you are an individual interested in immigration matters. You can contact me at jamesm@coane.com if you wish to discuss a point about technology and immigration or if you have another question about immigration. BRUCE A. COANE is Board Certified in Immigration and Nationality Law by the Texas Board of Legal Specialization. The law firm of Coane & Associates has offices at 407 Lincoln Road, Suite 306, Miami Beach, Florida 33139, Tel. (786) 457-VISA (8472). The law firm website is www.coane.com. The law firm email is immigrantlaw@aol.com. 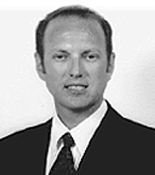 JAMES P. McCOLLOM, JR. is an associate attorney at the firm.